This was produced by Buck Owens. Buck Owens and his son Buddy Alan wrote some songs for this album. It also produced a hit Hello out there which is the best song on the record. 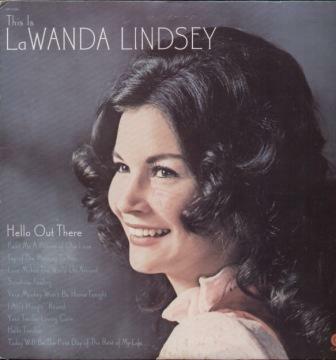 I own Lawanda's album, "Swingin' and Singing my Song" she made when she was a teenager. Her voice has become more husky and mature. It almost sounds like Susan Raye, who was a protege of Buck Owens so that makes sense. There is a perkiness about this album that I really like. Top of the Morning to you and Sunshine Feeling are cute. There are clips on youtube from Hee Haw of her singing songs from this album. It's worth a watch.